Over the past months, there has been an ongoing debate about establishing a wall to keep people out of the USA. Wall building is hardly a new idea. Walls are built to keep people out (Great Wall of China), and to keep people in (prison, Berlin Wall). 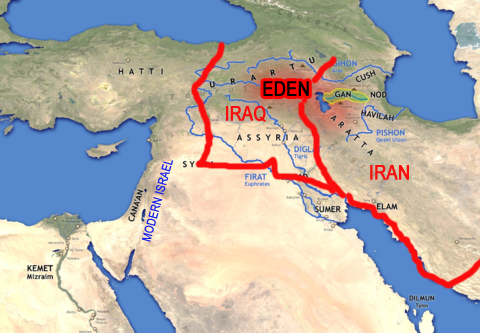 Satan has been erecting walls since the Garden of Eden. Satan’s first attempt at wall building was designed to keep people from a relationship with God. By introducing deceit and sin into the world, he was able to break the natural relationship and bond God intended between Him and us. God’s love for us has broken down that wall and has made it possible to reestablish the relationship (Eph. 2:14). However, Satan was at it again, building a different wall to keep the message away from those who need to hear it. The new wall is a stealth wall. It is not easily picked up on our spiritual radar. God’s plan is to unleash His people (the Church) to share the message of the Kingdom. The message is simple; God has already torn down the wall separating us and making reconciliation with Him a reality. From Matthew 28:19,20 and Acts 1:8 we know that, as God’s people, our calling is to make disciples throughout the world, letting them in on the Good News that the wall is destroyed. However, Satan came up with a master strategy to wall people off from those who need to hear the Good News. For centuries Satan as been at work building a mental wall that leads us to believe the wrong things and thus not do the right thing. The key was to change the meaning of “church” from the people of God, to the place God’s people go. 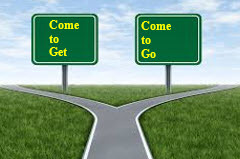 By changing the meaning, people now “go” to church. Evangelism and discipleship are now “programs of the church,” and the church is what we “do” on Sunday. Monday through Saturday is for living in the secular world where we are walled off from Sunday church. This is not new. It has been one of Satan’s key strategies from the beginning of the Church. Jerusalem was safe and comfortable for the new, rapidly growing Church. Rather than return to their home countries after Pentecost, believers moved to establish Jerusalem as the home of the new faith. That all changed when persecution of the Church broke out in Acts 8. If Christians would not break the wall that kept them from going to the nations (Acts 1:8), then God would allow the persecution that accomplished the same end. It is time that we rediscovered that the Church is you and I. It is our calling to make disciples where we live and around the world. As long as church is a place to go we will fail to go as the Church into all the world. 4 We use God’s mighty weapons, not worldly weapons, to knock down the strongholds of human reasoning and to destroy false arguments. 5 We destroy every proud obstacle that keeps people from knowing God. We capture their rebellious thoughts and teach them to obey Christ. Come to GoThe "Come to Go" church is committed to serving the congregation by equipping them to live for Jesus seven days a week. 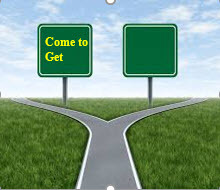 While the “Come and Get a Blessing” model is very prevalent, we can be encouraged that there are pastors and local churches who have not succumbed to the temptation to travel the road of a church as entertainment. Discipleship is always guided by purpose. Christian discipleship is committed to helping people grow in the grace and knowledge of Jesus (2 Peter 3:18). It is the process of becoming more like Jesus (Rom. 8:28,29). What is often overlooked is that Jesus was guided by purpose. To become like Jesus is not simply a character issue, but a life purpose issue. Jesus was living out commitments that had begun with creation. 34 Jesus always used stories and illustrations like these when speaking to the crowds. In fact, he never spoke to them without using such parables. That was such a cute story! Did you hear the one about….? Can you believe what happened last night on the TV show…(fill in)? I was moved to tears when I heard the story of what they went through. Story, as it turns out, was crucial to our evolution—more so than opposable thumbs. Opposable thumbs let us hang on; story told us what to hang on to. Story is what enabled us to imagine what might happen in the future, and so prepare for it—a feat no other species can lay claim to, opposable thumbs or not. Story is what makes us human, not just metaphorically but literally. Recent breakthroughs in neuroscience reveal that our brain is hardwired to respond to story; the pleasure we derive from a tale well told is nature’s way of seducing us into paying attention to it. It turns out that stories are imbedded with information we need for facing the challenges of each day. Our brain is a glutton for information and prefers it in a story. Stories operate on both an emotional and cognitive level. Think of stories as the first nonexperiential method of real learning, the first learning app. I say nonexperiential, but it is not quite true. If the story has an emotional component then we “experience” the story vicariously. To hear the story about a lion roaming in a certain part of the forest is much easier than the potential outcome of self-discovery. Stories are critical to helping us understand the rules of living. This includes character and values. The catch is the brain disdains lists, but loves stories. The brain wants to “figure it out” not have it handed to us. This is why inductive study is far more satisfying than deductive study. The brain loves to engage in the story to figure out what is right and what is wrong. Through this process, it adds to a life narrative of how we should respond to the world around us. Core Beliefs (what I hold to be true about the world) and Character (how I relate to others) are enhanced by the stories we listen to and engage in. As we swim around in this fish bowl of stories our unconscious is pulling from those stories the information it deems important and then melds that to our life narrative. Like a fish sucking oxygen from the water, we absorb information from the stories we listen to or watch. The foundation of Christianity is not the doctrines of the Bible, it is the story of the Bible. In particular, it is the wonderful, amazing story of how almighty, eternal God became a baby that he might grow up and suffer a humiliating death so that those he loved could love him back. Doctrines support the story, not the other way around. This Christmas tell the most amazing story ever told. Make the story the center of Christmas, as it is the center of his-story. International Christian Ministries exists to disciple and equip the leaders of the church. But the goal is not simply better-equipped pastors, but more focused pastors and leaders who align to the purposes of God. The measure of success is impact on the marketplace, not miracles in the church. Discipleship that does not have as its purpose to impact the marketplace is not effective discipleship. Growing to become more like Jesus is one way to understand discipleship. Too often the focus is on "character" rather than "commitments." Galatians 5:22 (NLT) 22 But the Holy Spirit produces this kind of fruit in our lives: love, joy, peace, patience, kindness, goodness, faithfulness... Part of the transformation process is becoming more like Jesus in our character. But that is not all. God calls us to become more like Jesus in our commitments. Jesus had a Kingdom of God commitment (Lk.4:43). In fact, it was his major commitment and he admonishes us to have the same commitment (Matt. 6:33). If we are committed to the Kingdom of God it means that our focus, our time, talents and treasure are utilized for that purpose. Your heart follows what you are committed to. Unfortunately, the world is ruled by a prince who wants to distract us from committing to the Kingdom of God. 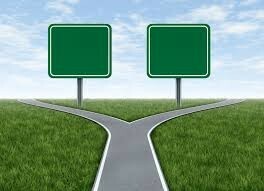 He uses every possible opportunity to move our focus from the Kingdom of God to self-interest. Mark 4:19 (NLT) 19 but all too quickly the message is crowded out by the worries of this life, the lure of wealth, and the desire for other things, so no fruit is produced. This shift from the Kingdom of God to the kingdom of self, leads to a church that focuses on attracting members rather than equipping saints. Rather than a message of sacrifice there is a message of prosperity. Rather than a message of giving it is a message of receiving. Rather than miracles in the marketplace we "perform" for the crowds in the church. For every miracle in the church, we should see forty miracles in the marketplace. That is roughly the ratio of miracles that Jesus did in his ministry. If you want to be like Jesus you need to see the marketplace as the place for living out your faith. ICM seeks to help pastors and leaders align to the commitments of Jesus by helping them Disciple Marketplace Leaders. ICM is committed to discipling leaders who equip their congregations to be salt and light to their communities and to the world. 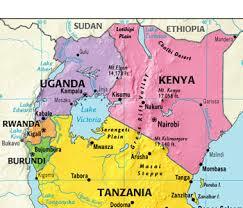 At the beginning of the 21st Century Africa was known as a hopeless continent. We in ICM have always held that the key to unlock the future for Africa was people...and people are not hopeless. Of course since that time things have changed dramatically. Africa is now see as the rising economic star. It has all of the right ingredients: lot's of people (becoming ever more educated), abundant resources that are still untapped, and now governments that are shifting from oligarchy to greater democracy. China, India and other more developed countries are rushing in to help build an infrastructure to get the resources out of Africa and are at the same time building a growing middle class who will by products made from them. But is that what God wants for Africa? Matthew 25 tells us that poverty is something that needs to be dealt with. And it is. Over the past 50 years extreme poverty has been cut in half. But there is more. Africa, like the rest of the world will always have poor, sick, orphans, widows, etc. But Africa, like other continents, will also have a middle class that have disposable income. The question is, "what will they spend that income on?" In the US we spend our disposable income on a lot of stuff for us. Billions of dollars are spent on vacations, pet food, cosmetics, alcohol, tobacco and on and on. While many of these things are not bad, they end up leaving very little for Christian ministry and missions. Africa can be different. If ministry leaders join with lay leaders to help provide market place training with the goal of expanding the churches influence things just might turn out differently in Africa. The 21st belongs to Africa. What will the do with it? The story of man is written in the code of our genetic makeup. All humans carry genetic features that help us track where they have come from and where they went (such as the Y chromosome known as M168). More and more evidence is stacking up that through genetic tracking we now know that man originated in Africa. While there is some doubt as to the exact location (some are holding out for South Africa while others agree that it was probably East Africa) there is a growing consensus that we are all African in origin. "Scott Simon, NPR said, “Rules and procedures may be dumb, but they spare you from thinking. " The counter point to rules is the virtue of wisdom. Practical wisdom is the combination of moral will and moral skill (Aristotle), according to Barry Schwartz. Rather than being rule makers theological institutions need to be wisdom developers. This is not lost on businesses that have huge employee handbooks that cover everything they can think of to cover...themselves against unhappy employees suing them. Of course developing wisdom, as with all virtues, takes a lot more time and energy...and has a lot more long term value. Any country that bases its well being on rules will end up ruled by autocrats, bureaucrats and eventually dictators. We do not want nonthinking people who follow the rules, we want spiritual mature people able to listen to their God and carry out their tasks with passion and compassion.